Funeral services for Mr. Albert Prince, Jr. will be held on Friday, September 23, 2016 at 11:00 in the Chapel of West’s Mortuary in Americus, Georgia with Rev. Mireo Harris officiating. Burial will follow at the Eastview Cemetery. Mr. Albert Prince, Jr. was the oldest of sixteen children born to the late Mr. Albert Prince, Sr. and Mrs. Eula Mae Sampson Prince, who survives on May 8, 1938 in Americus Sumter County, Georgia. He moved away from home at an early age seeking work and came to reside in Belle Glade, Florida the remainder of his life. He worked several different jobs before landing his position at Okeelanta Sugar Mill Corporation as a truck driver. He worked with them for over 30 years, retiring in 2001. He enjoyed hanging out with his friends, watching Joel Osteen Ministry, and old Western movies. He is preceded in death by two brothers: Master Ronnie Prince and Willie Lee Prince. Albert departed his life on September 18, 2016 at GRU Hospital in Augusta, GA with his family by his bedside. 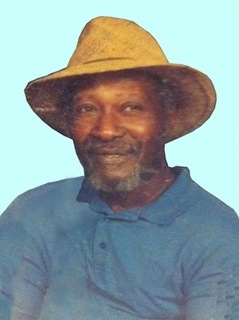 In addition to his mother, Ms. Eula Mae Prince, he leaves to cherish his memories one daughter: Ms. Latalia Demisha Prince (Brian) of Barnwell, South Carolina; one stepson: Marcus Garrett of West Palm Beach, FL; six brothers: Mr. Johnnie Lee (Susie) Prince, Belle Glade, FL, Mr. Oscar Lee Prince, Mr. Sampson Prince, Mr. David (Mary Emma) Prince, Mr. Ernest (Barbara) Prince, Mr. James Prince all of Americus, GA; seven sisters: Mrs. Betty Sue (Anno, Sr.) Harris, Mrs. Retha (John) Dowdell, Mrs. DeLois (Rev. Karl) Wilson, Mrs. Dorothy Jean Queenie, Mrs. Barbara Ann (John Arthur) Boone all of Americus, GA, Mrs. Anna (Rev. Marcelious) Willis, Leslie, GA and Mrs. Mattie Mae Edge, Albany, GA; two granddaughters: Mrs. Da'Koyoia Demisha (Marcus) Billie of Stockbridge, GA and N'Yannia Yanexi Prince of Barnwell, South Carolina; two great grandchildren: Jaylen Desean and Elijah Anthony of Stockbridge, GA; one aunt: Ms. Ola Bell Harris, Americus, GA; one uncle: Mr. Ellis Prince, Miami, FL; and a host of nieces, nephews, cousins, and friends also survive.